On October 23, Shur-Green Farms LLC. announced the recall of loads of Soyoil containing Lascadoil, industrial processing waste oil, which was intended for non-food product or bio-fuels but may have been used as a feed ingredient. In light of this news, AttorneyOne, a recognized authority on law, updated the website providing detailed information to consumers. AttorneyOne.com, a recognized authority on law, updates the website daily regarding all the latest information from the FDA on Lascadoil/Soyoil. Shur-Green Farms LLC announced on October 23, the recall of loads of Soyoil containing Lascadoil, industrial processing waste oil, which was intended for non-food product or bio-fuels but may have been used as a feed ingredient. 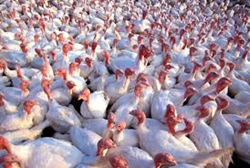 The reason for the recall is death in turkeys investigated by State and the FDA. If the product is used as feed ingredient, it may cause animal death. The affected product is load sold on or before September 17, 2014. AttorneyOne.com has further information on Lascadoil/Soyoil at the website including the latest major drug, food, and medical products law news.